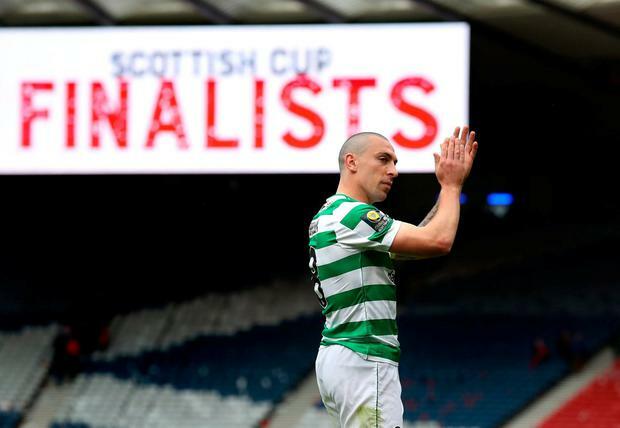 Interim manager Neil Lennon was told by majority shareholder Dermot Desmond to ignore "the noise" surrounding his future before Celtic's Scottish Cup semi-final win over nine-man Aberdeen at Hampden Park yesterday. The Northern Irishman was put in charge until the end of the season when Brendan Rodgers left for Leicester in February. 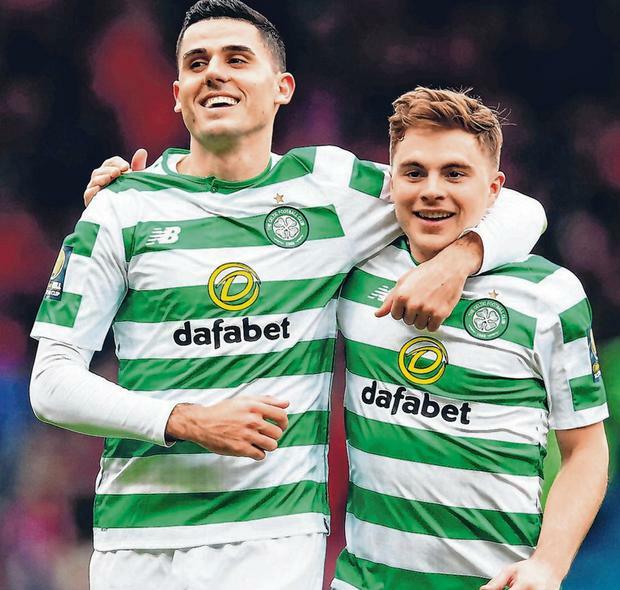 And, with names such as Andre Villas-Boas and Roberto Martinez being mentioned as possible successors, Lennon has, effectively, guided the Hoops to within 90 minutes of an unprecedented domestic treble treble. They play Hearts in the Cup final on May 25. Aberdeen were on the back foot once they lost Dominic Ball to a second yellow card after a gruesome clash of heads with Ryan Christie on 38 minutes. 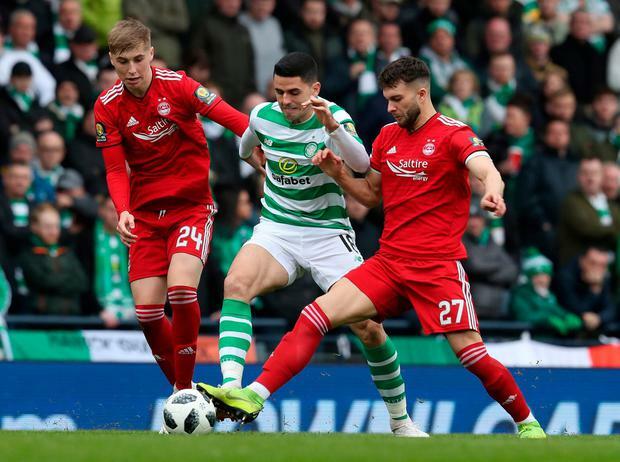 James Forrest fired Celtic ahead in first-half stoppage time and Odsonne Edouard's penalty and a precise finish from substitute Tom Rogic completed a miserable afternoon for the Dons, who also had midfielder Lewis Ferguson, assistant manager Tony Docherty and manager Derek McInnes sent off. Lennon revealed Christie looked to have suffered "a broken eye socket or a fractured cheek bone" before he addressed the ongoing speculation over his position. He said: "It was a highly pressured game. Whether it has any impact on my future or not, I don't know. "I spoke to Dermot yesterday (Saturday) and he said all the speculation and all the noise was just nonsense. "I knew that anyway because these are class people I work for and I've worked for before. I know the way they work." Mark Critchley Pep Guardiola believes that a trip to Old Trafford to play Manchester United is no longer “scary” for neighbours Manchester City. By Damian Spellman, Press Association Sport Callum Hudson-Odoi is likely to need surgery to repair his ruptured Achilles tendon, according to an orthopaedic surgeon. Andy Hampson Manchester City playmaker Kevin De Bruyne has been ruled out of Wednesday’s derby at Manchester United, manager Pep Guardiola has said.